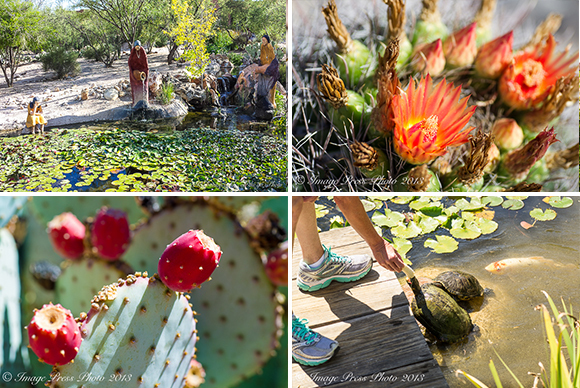 This is the first in a series of articles about our trip to Arizona in mid-September. It was one of the most inspiring adventures we have taken so far and we look forward to sharing these travel pieces with you in the coming months. It all started with the back fat. No, I don’t mean fatback, the “Cut of meat from a domestic pig, consisting of the layer of adipose tissue (subcutaneous fat) under the skin of the back, with or without the skin (pork rind).” Description courtesy of Wikipedia. No, I’m talking about the fat on my own back. The fat just above my waistline that I never had until recently (often referred to fondly as “love handles”) and the fat that has forced me to make some changes in my life for both myself and Mr. B. In other words, food and travel writing, while fun, can be hazardous to your health and waistline. To paraphrase Yogi Berra, when you find yourself at a crossroad in life, take it. 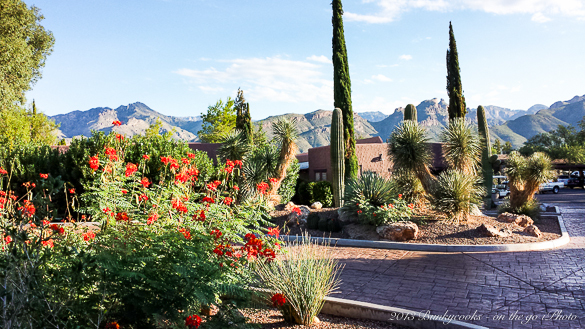 So, accepting the need for change, we decided to jump on a plane to Arizona and check in at the Canyon Ranch Health Resort in Tucson. 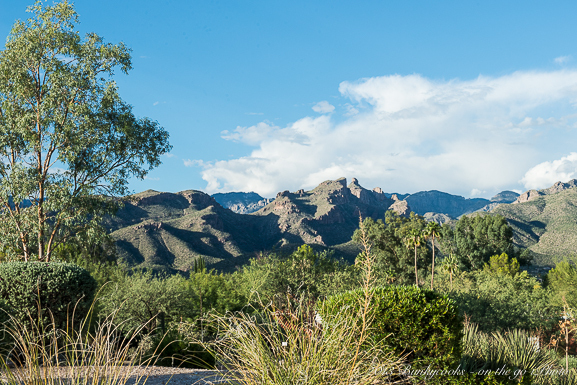 Located on over 150 acres of what was once a working cattle ranch, in the beautiful Sonoran Desert in Southern Arizona, this award-winning property is a year-round destination spa and resort. 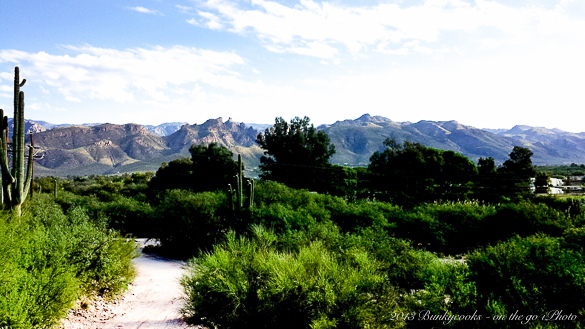 With views of the Santa Catalina Mountains in the distance, the scenery of the desert is spectacular and strangely beautiful. I was enamored by the contrast to the lush green and the changing hues of foliage back home in Georgia. 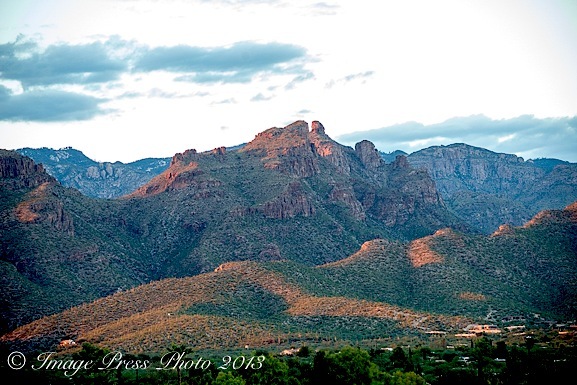 Arriving in Tucson, I was reminded of the older couples I knew when I was young who had retired to this part of Arizona for the arid climate and the healing properties of this environment. It was now our time to search for healing. I knew we were in the right place. 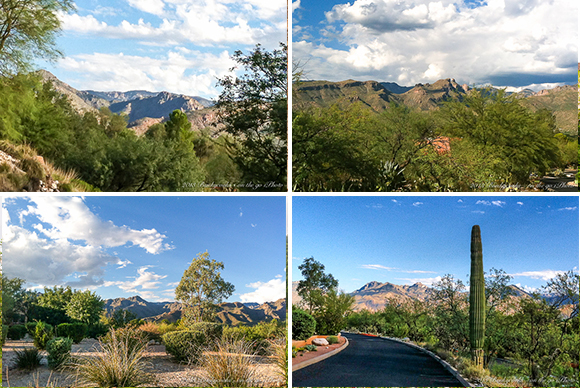 Founded by Mel and Enid Zuckerman, Canyon Ranch Tucson opened in 1979. A bit of a radical idea at the time, “It was a comprehensive, healthy living vacation resort with no smoking and no alcohol.” “What kind of vacation is that?” you might ask. 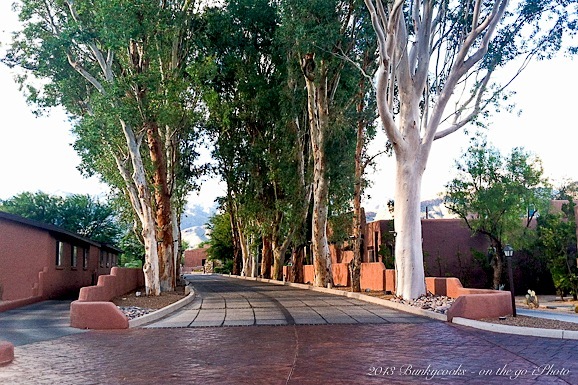 Canyon Ranch was one of the first spa resort concepts ever developed and after a few years, became a major influence for the evolution of spas around the world. Mel Zuckerman, at age 50, found himself overweight by 40 pounds, out of shape, dealing with numerous health issues and feeling like, well, like us. 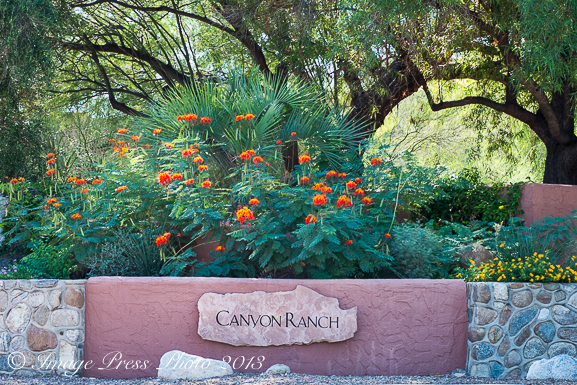 The desire to create a nurturing and supportive healthy living environment was the idea behind Canyon Ranch. Their tagline, The Power of Possibility, captures the essence of this getaway. You feel that you can accomplish your goals with the supportive staff, doctors, medical team, health experts, facilities, and information available to you at the resort. Fabulous, Gwen, really fabulous! This is a stunning place, gorgeous, and the food looks amazing! I dream of going on a spa trip and man this would be the place I would pick. I am blown away seriously. And what fun! Lucky you and great great write up. I’m also glad to see you have taken much of what they suggested to heart. I think if one eats well and exercises regularly then a bit of cake and ice cream does no harm. And won’t you feel better!